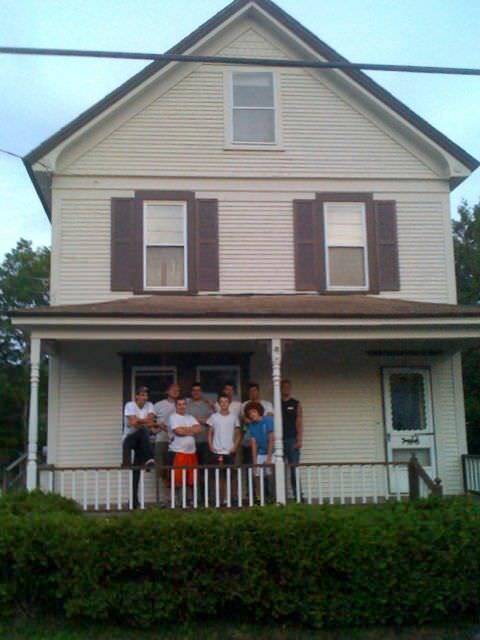 In response to our request for a team, eight men from Harvest OPC in Wyoming, Michigan, arrived in Vermont at around midnight on Saturday June 23, 2012, after an 800 mile drive that day. The missionaries stayed in campers in a campground about five miles from the church, and the house to be painted. On Sunday, June 24th, the congregation at Covenant OPC was blessed to have Pastor Crabtree preach on "The Authority of Christ" from Mark 1:16-39. After worship, a fellowship meal at the church was enjoyed by all to allow us to get to know our brothers from Michigan and for them to get to know us. Richard, the gentleman's house that was to be painted, attended worship this day to meet his new friends. Rain prevented the team from beginning to paint on Monday, but they were able to begin the arduous process of scraping the old loose paint from the house. On Tuesday and Wednesday it continued to rain off and on (mostly on!). This did not deter this determined missionary team and by Thursday the house was scraped, primed and ready to be painted. 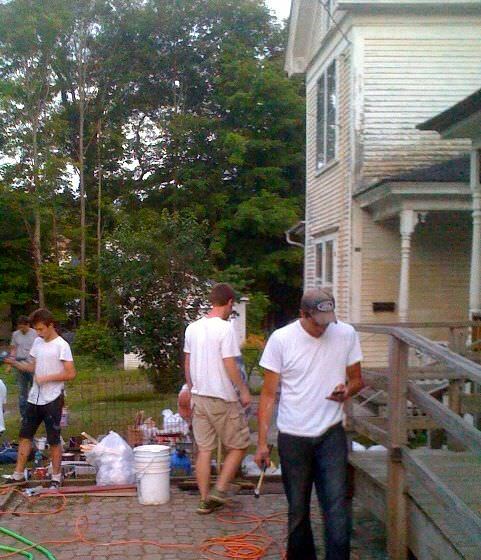 The team worked late into the evening on Thursday to get the first coat on the entire house, praise the Lord! You can imagine how much they enjoyed their Chinese food dinner at 10PM on Thursday night! Richard is extremely grateful for this outpouring of Christian love from the missionary team from Harvest. Richard is not a member of Covenant, but he belongs to a local Baptist church (he is on their school board). I know this outreach was a blessing and encouragement to this congregation of believers also. For over 25 years, Richard has worked in special education, the past 12 years in Barre City. Unfortunately, his cerebral palsy is getting worse and he fears that he may have to leave his employment in the near future. He knows that when he is no longer able to work he may not be able to afford his house, and may have to sell it and move into subsidized housing. Having the house in good shape will help facilitate that transition, if that's the Lord's will. The team left for their long journey back to Michigan on Friday June 29th, having blessed many in Vermont.